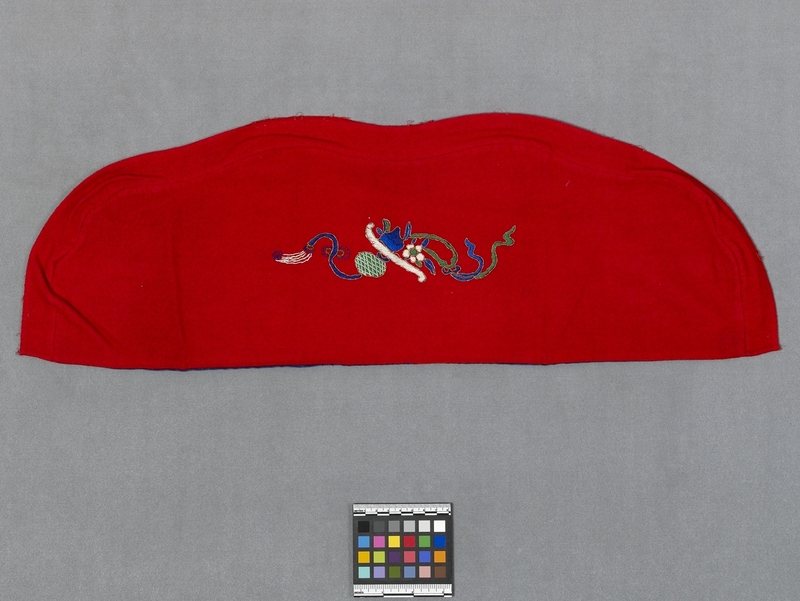 Item number 1527/11 from the MOA: University of British Columbia. Red wool cover with embroidery. The cover has a straight bottom edge, a scalloped top edge and corners. The embroidery in the centre is an abstract motif in white, blue, green and outlined in gold. 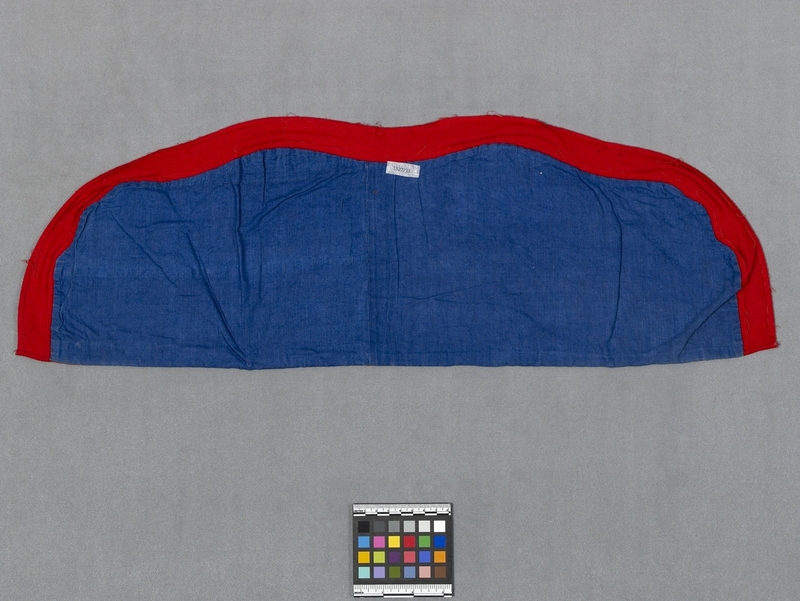 The back is lined with blue cotton.